Per the ever-reliable Collected Editions site, DC Comics has updated the contents listing for the upcoming reprint collection Supergirl Vol. 5: Hunt For Reactron, due out Jan 22, 2019. 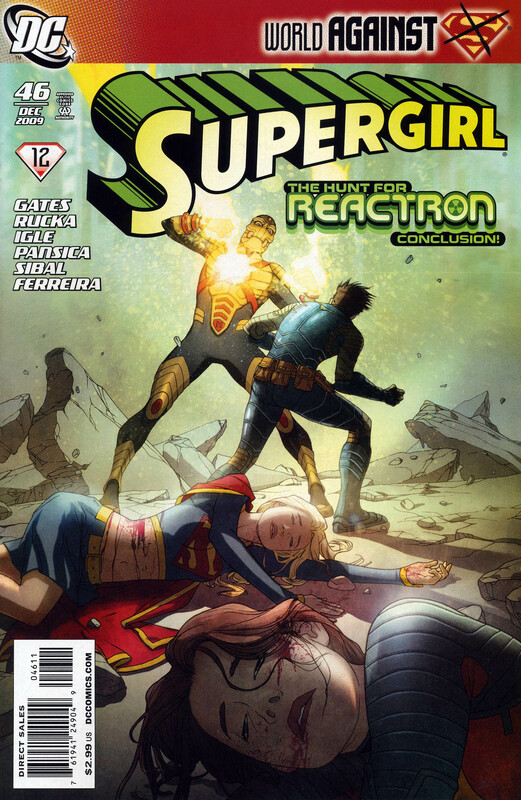 This volume will include Supergirl #44-50, Action Comics #881-882 (crossover appearances), and Supergirl Annual #1 of this series. Amazon continues to incorrectly list the contents as only including Supergirl #45-46 and Action Comics #881-882, as it was originally solicited. The print edition of the trade paperback is currently available for pre-order at Amazon and other retailers. The digital edition will appear on Comixology, etc. closer or on the release date. Let’s hope the final cover doesn’t use the unappealing Michael Turner variant from Supergirl #50 currently shown on Amazon. Now we just need DC Comics to reprint the contents of Supergirl Vol. 9: Bizarrogirl together with the never-before-collected post-Sterling Gates & Jamal run (issues #60-67) for the series to be complete. I quite enjoyed Kelly Sue DeConnick’s 3-issue cap to the series.